A set of paired magnetic clamps with adjustable angles. Simply pull apart, place inside and outside your corners and snap into place. 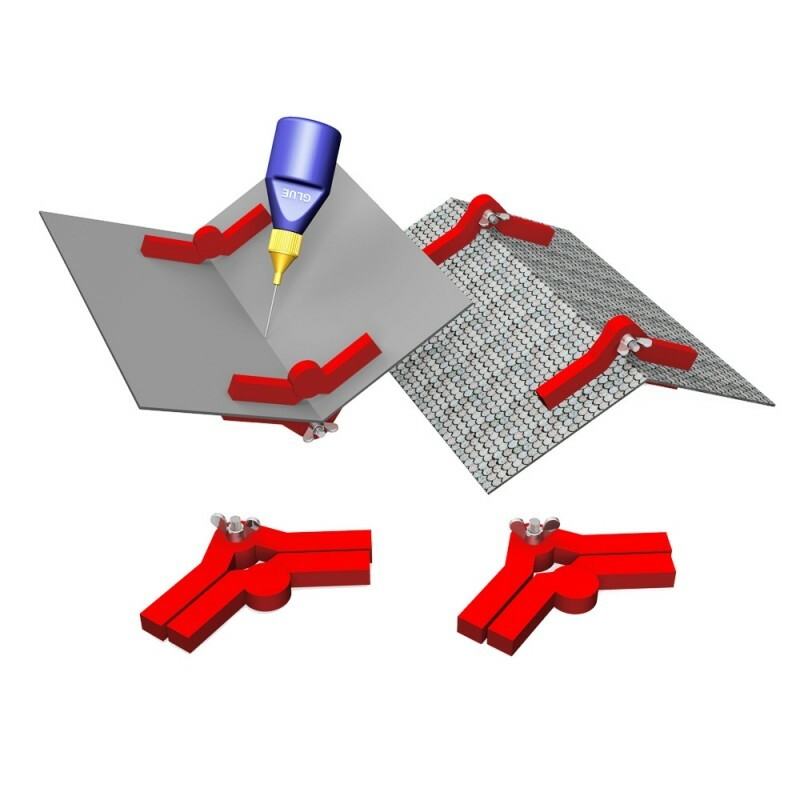 The snap and glue set squares hold the two pieces of plastic in place and allow you to glue them at the desired angle without further worry. 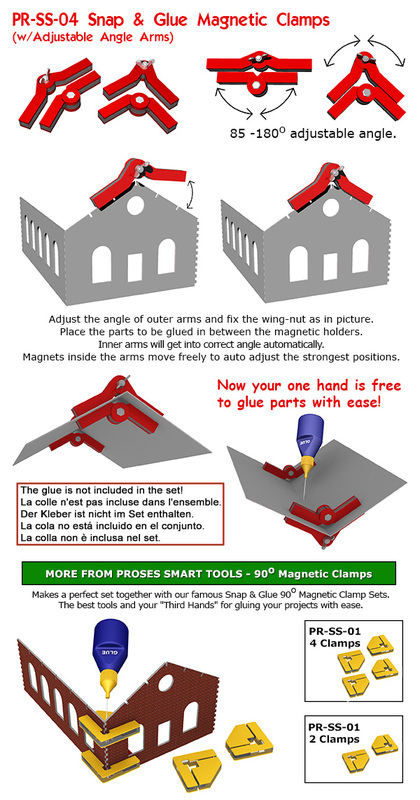 After curing of the adhesive do remove easily the Snap & Glue magnetic clamps. By buying this product you can collect up to 25 loyalty points. Your cart will total 25 loyalty points that can be converted into a voucher of € 1.25.